This is a 2010 Marlen “Prosperity” XXIc Special Edition BF in Black with Sterling Silver trim and overlay. Overlay design is what looks like (hand-engraved?) “Wheat Stalks.” 18K broad nib. New-old-stock. 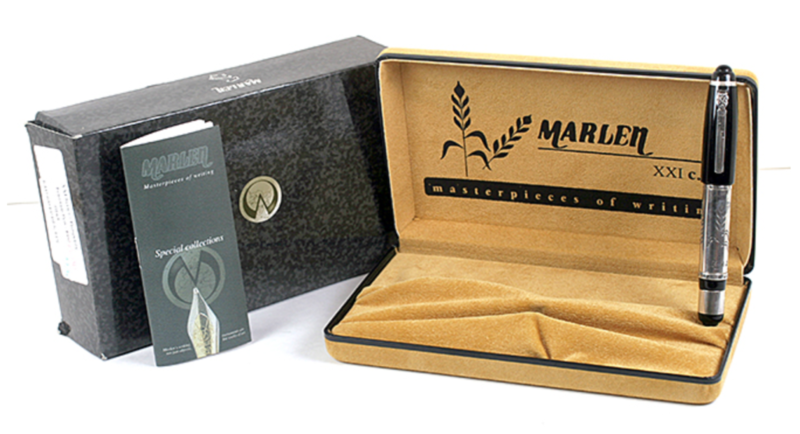 Mint in box with papers and outer box. I found no information about an XXIa and it appears the XXIb has a roller-ball clip and a faceted barrel overlay. The date is an approximation. UPDATE: SOLD. Item #42 in Catalog #85. 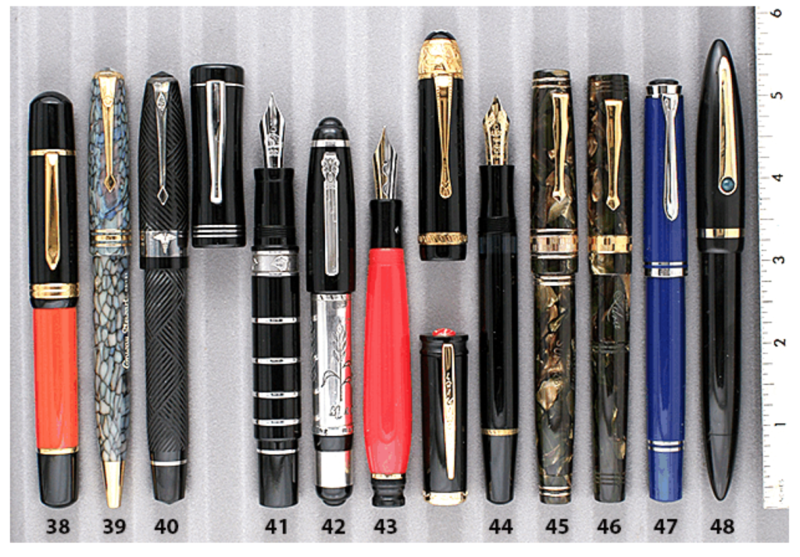 This entry was posted in Vintage Pen, Vintage Pens and tagged Catalog, Catalogs, Extraordinary Pens, Fountain Pens, Go Pens, GoPens, Marlen, Vintage Fountain Pen, Vintage Fountain Pens, Vintage Pen, Vintage Pens. Bookmark the permalink. Follow any comments here with the RSS feed for this post. Post a comment or leave a trackback: Trackback URL.